Many people own appreciated stock—stock that has risen in value over time. Often these donors give stock instead of cash because they have discovered the value and enjoyment of stretching their giving power by donating the appreciation and avoiding paying taxes on it later. 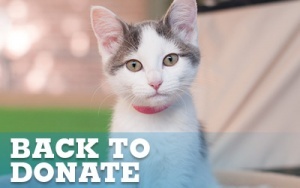 Have you considered making a gift of appreciated stock to Animal Humane? For more information please email [email protected] or call 505-938-7919. Our stock gifts are handled by REDW Stanley Financial Advisors, 505.998.3288 or [email protected].